When you want something new and unusual, it's time to pamper your taste buds and appeal to a favorite summer treat – ice cream. As per the trend of the most unusual and extravagant, you can surprise your friends and household strange at first glance, the recipes of homemade ice cream. For making spicy desserts require cream 33% – 0,4 liters of fatty milk – 0.5 liters, black pepper – 1 tsp, stabilizer for ice cream – 5 g, sugar – 50 grams glucose syrup 150 ml. Mix all ingredients until smooth. Pour the ice cream base in a saucepan and bring it to a boil. Leave to cool, then drain and immerse the mixture in ice cream maker. 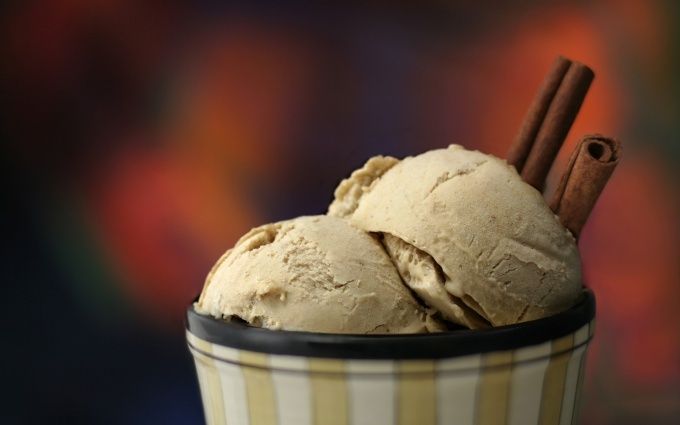 Prepare an original home-made ice cream according to the instructions, and then put into the freezer for a few hours. 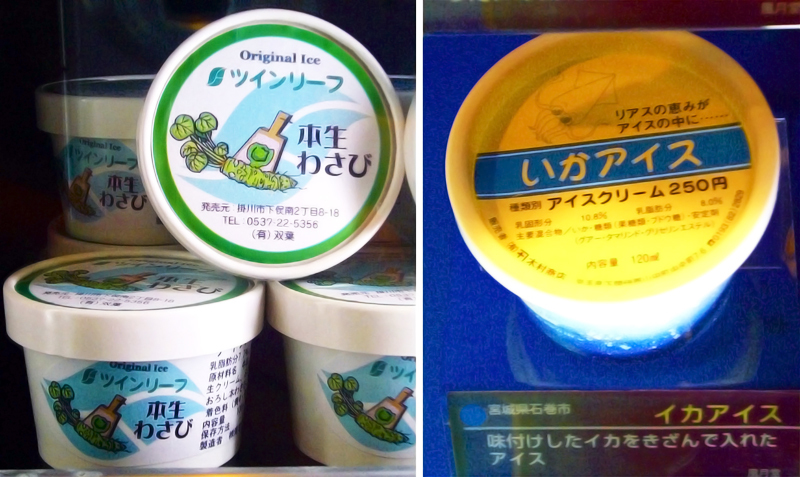 To get this unique ice cream you want to take fresh or frozen green peas – 0.3 kg, cream 33% – 200 ml syrup, glucose – 60 g, sugar – 50 g., potable water 140 ml, and sheet gelatin – 6 g.
Bring to boil the sweetened water with the peas and then mix it with syrup, whipped cream and soaked gelatin. Beat the mixture with a blender until smooth and place in the freezer. After the process is complete, remove the ice cream for a couple of hours in the freezer. Part of dessert includes the ice sheets of sorrel – 0.2 kg, glucose syrup – 100 ml and 1 Cup of juice without pulp. Blender chop the sorrel and mix with other components. Send the resulting mass in the freezer, and after the process is complete, remove the ice cream in the freezer for a few hours. 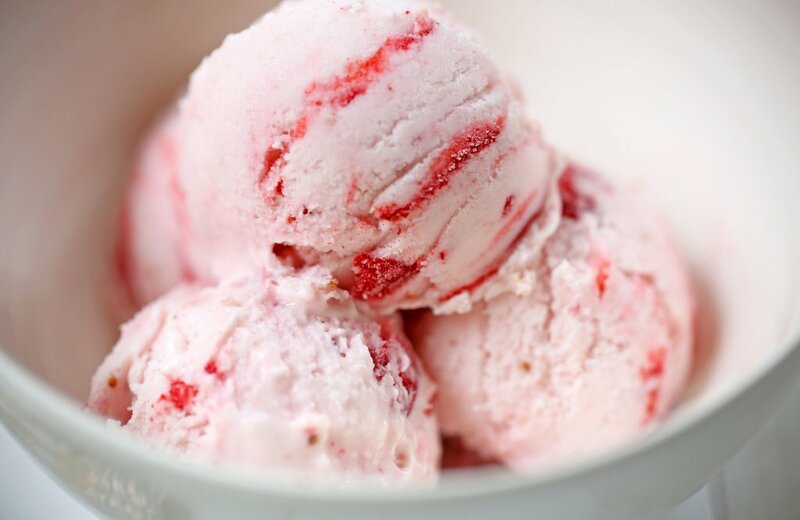 For preparing delicate homemade ice cream you will need 2 medium banana, yoghurt – 100 ml sugar – 2 tbsp. any nuts – 15 g rum – 1 tablespoon of ground cardamom and cinnamon to taste. Pre-frozen bananas whipped together with spices, rum and yogurt in a blender. 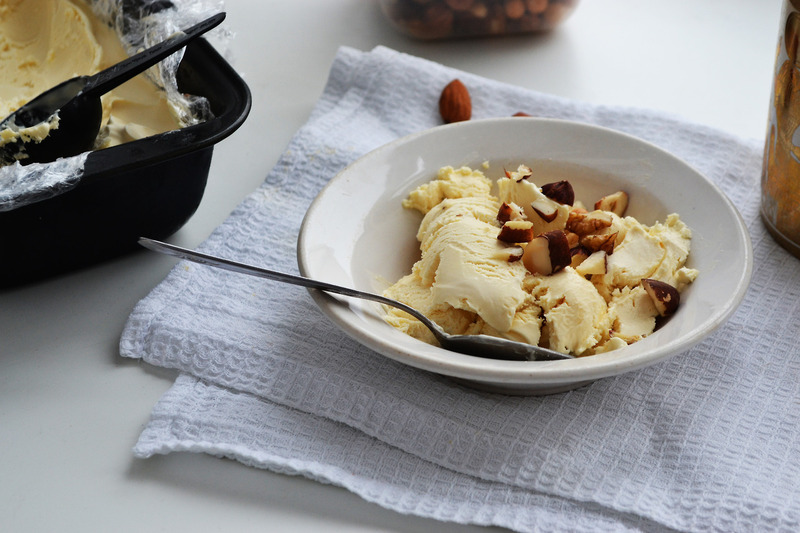 Ready ice cream sprinkle with chopped nuts. What unusual ice cream sold in pastry shops? During the journey you can find more strange flavor combinations favorite summer dessert. In new York in one of the bakeries cook the corn ice cream sundae with horseradish and frozen dessert with the taste of figs and Turkey. 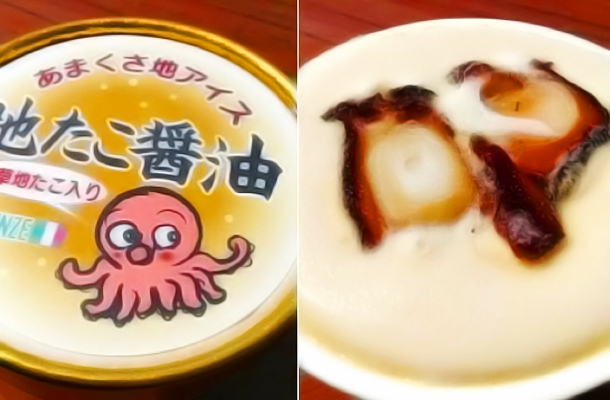 In Japan you can find amazing waffle cone with fried oysters, mini-briquettes tasteful parrots, ice cream with the addition of horse meat, chicken wings, and cuttlefish ink, as well as ice cream with the taste of coal. 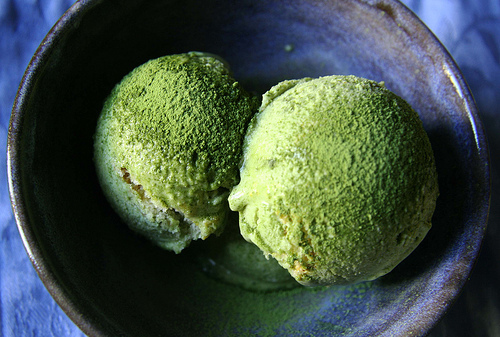 During the celebration of the festival of garlic in California, guests can taste the garlic ice cream. Lovers of meat dishes will also appreciate the icy dessert with bacon and a traditional dessert of the Alaska – "Akutaq", which is prepared using minced meat, fat, sugar, and berries. Gourmets will enjoy ice cream with lobster, which is served in a candy Bar Harbor. Among the favorite desserts of Venezuela you can see the cream cheese and spaghetti, and Colombia to the icy dessert add caramelized grasshoppers. 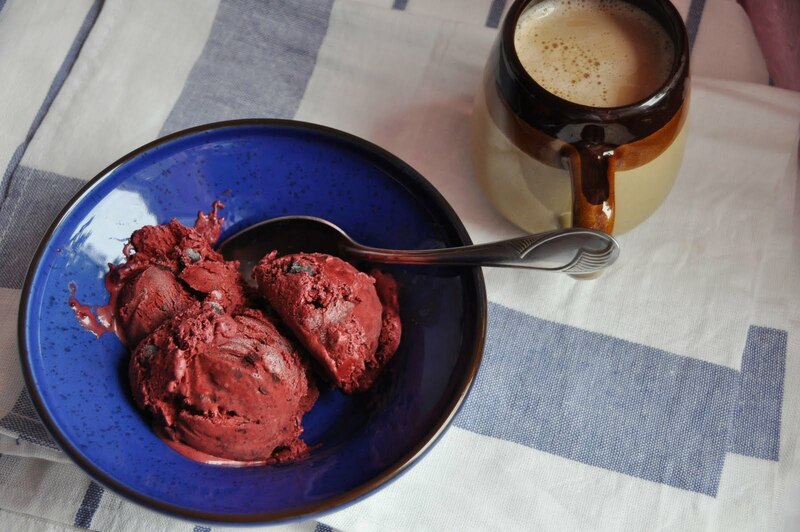 For those who missed India, you should try bright ice cream curry which was developed by Vosges Chocolate. Queen Elizabeth II during her coronation tasted at the cocktail party unusual ice-cream of chicken, curry and mayonnaise. Beer lovers have to buy a pint of frozen with a taste of honey and classic dark ale, while French gourmets delight yourself with an ice cream with Beluga caviar. New Orleans may surprise tourists green with cream of avocado, mint and cream, and Portland residents enjoy a salty-sweet ice cream of pear and cheese and an insane mixture of goat cheese, berries and habanero. 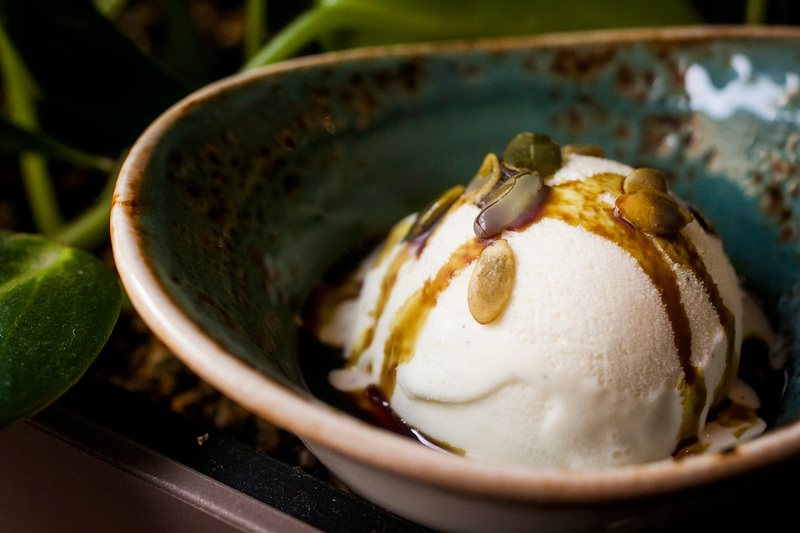 For those who spent the stormy weekend in Colorado, have invented a unique honey ice cream with pickle pickled peppers.